It was one of the most exciting climbing projects of this spring’s season in the Himalayas. 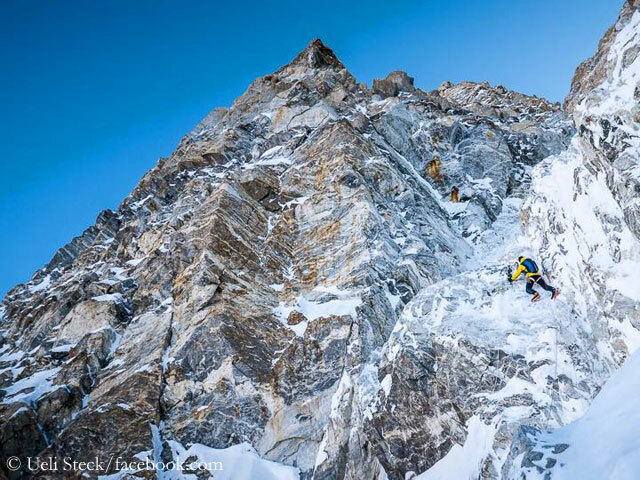 Swiss top climber Ueli Steck and German David Goettler initially planned to open a new direct route through the South Face of 8,027-meter-high Shishapangma. But they were not able to put it into practice. They “only” climbed the so called “Corredor Girona” route, opened by a Spanish team in 1995, up to the ridge at 7,800 meters and in their last attempt the route of the British first-ascenders of the South Face in 1982, Doug Scott, Alex MacIntyre and Roger Baxter-Jones, up to 7,600 meters. 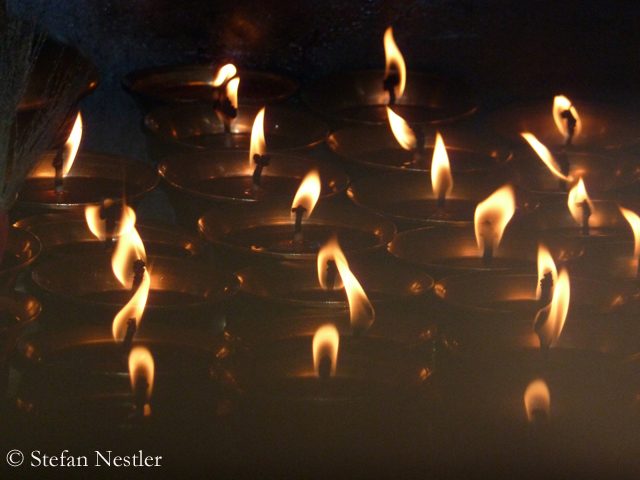 Even though they failed to climb a new route, Ueli and David didn’t return empty-handed from Tibet. I called the 39-year-old Swiss and the 37-year-old German in their hotel in the Nepalese capital Kathmandu. Satisfied, disappointed or some of both? How do you feel after this expedition? More than 400 summit successes, five deaths. This is so far the balance of this spring’s climbing season on Mount Everest, which is slowly but surely coming to an end. The two Indian climbers who had been missing for nearly a week with a probability bordering on certainty are dead. 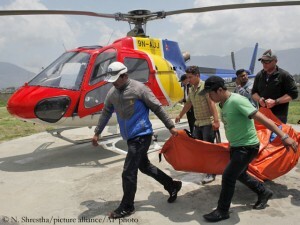 A Sherpa rescue team discovered the body of Paresh Chandra Nath above South Col. Rising wind prevented the search for the second missing, Gautam Ghosh. The chance of finding him still alive is virtually nil. The dead bodies of Dutchman Eric Arnold and Australian Maria Strydom have been meanwhile transferred by helicopter to Kathmandu. The corpse of Indian Subhash Pal, who had also passed away during summit attempt, should be brought today to Camp 2, to be flown out from there subsequently. Who could say no? On the summit of Mount Everest at 8,850 meters, Thomas Laemmle popped the question to his partner, via GPS messenger: “Heike, will you marry me?” Her answer was not (yet) spread on the Internet. 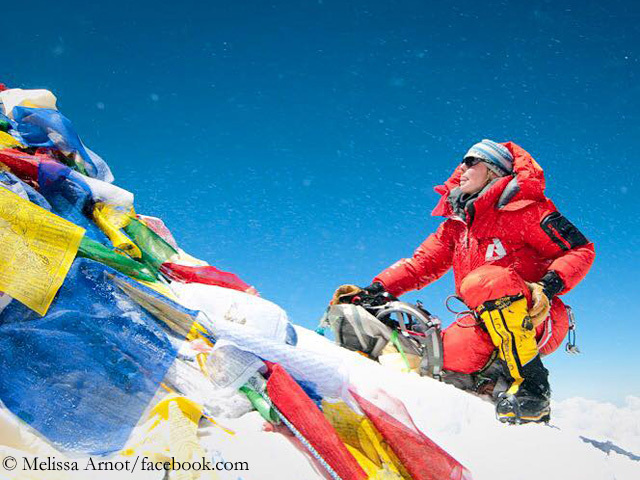 Thomas today reached the highest point on Earth via the normal route on the Tibetan north side – without oxygen. For the 50-year-old from the German town of Waldburg in Baden-Wurttemberg Everest is the fifth eight-thousander he has scaled. 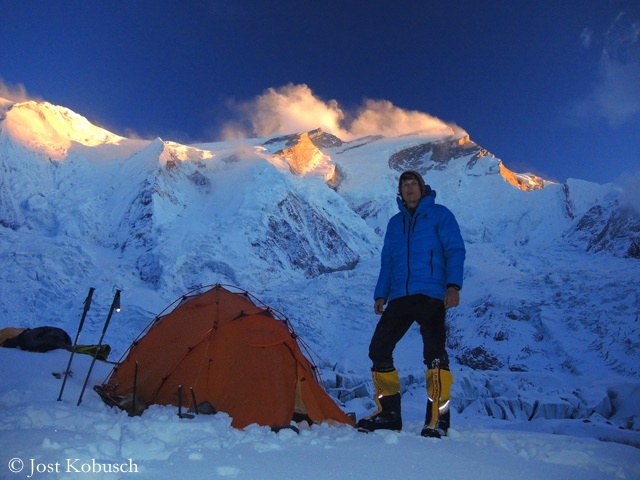 Previously, the high altitude climber and sports scientist from the Allgaeu region had successfully climbed Cho Oyu (in 2003), Gasherbrum II (in 2005 and 2013), Manaslu (in 2008) and Shishapangma (in 2013). 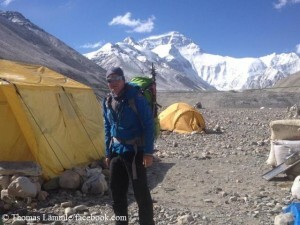 This spring Laemmle had abandoned a summit attempt on Cho Oyu due to bad weather. Not a good day on Mount Everest. The Nepalese expedition operator Seven Summit Treks had to report two deaths on Saturday. On the South Col, at an altitude of almost 8,000 meters, first the Dutchman Eric Arnold died and later the Australian Maria Strydom, both were obviously suffering from altitude sickness. Arnold, 35 years old, had reached the summit before and was on descent, the 34-year-old Strydom had apparantly abandoned her summit attempt. It is not only the thin air on Everest that makes climbers pant. Meanwhile, also a race seems to have started to be the most hip in social networks. Number one in this category this spring season – taking in account the media response worldwide – are without question the two Americans Adrian Ballinger and Cory Richards. 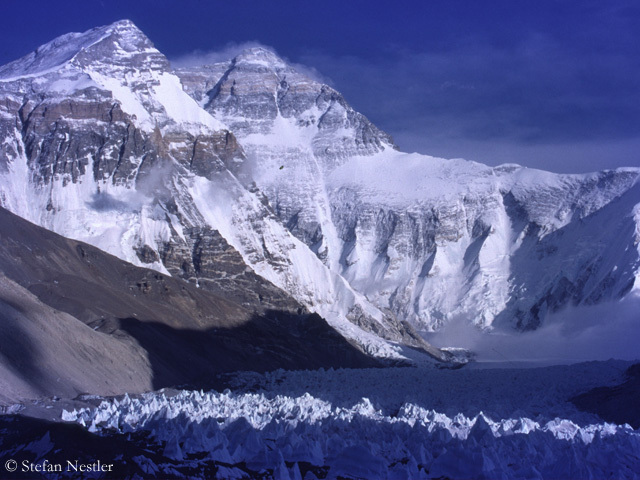 They document their ascent without bottled oxygen on the Tibetan north side also via Snapchat – the image and video messaging service for smartphones and tablets, in which the messages automatically disappear after a while – and thus make couch potatoes gasp. Under #EverestNoFilter, everyone can follow Ballinger’s and Richard’s ascent via the Northeast Ridge virtually in real time and unfiltered. The two climbers want to reach the 8850-meter-high summit this weekend. A solitary summit experience is different. 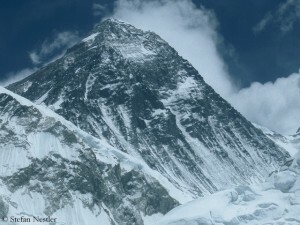 Gyanendra Shrestha from the Nepalese Tourism Ministry told the Kathmandu-based newspaper “The Himalayan Times” that about 150 climbers had reached the 8850-meter-high summit of Mount Everest since the morning. The number would probably increase to more than 200 during the day. 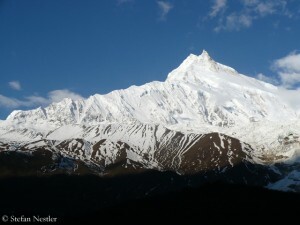 After the strong wind had calmed down, many teams set off from South Col on the Nepalese side of the mountain. 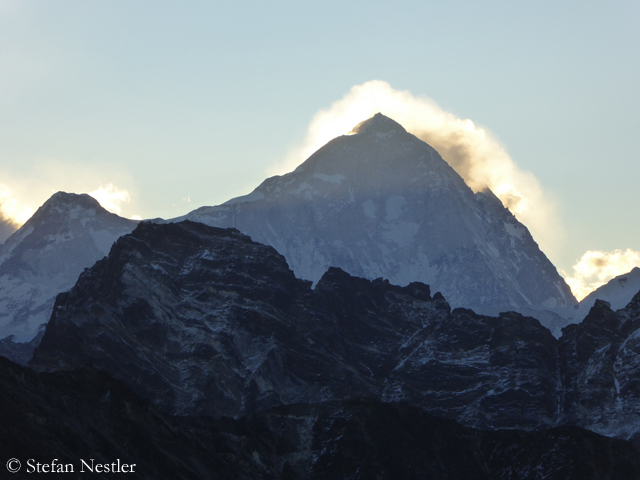 The numerous summit successes on Everest were overshadowed by a fatality on the neighboring mountain Lhotse. Everest hard way. So the two Slovakian climbers Zoltan Pál and Vladimir Štrba had named their expedition on the south side of the highest mountain on earth. They wanted to reach the 8850-meter-high summit via the difficult route through the Southwest Face, which had been opened by Doug Scott and Dougal Haston in 1975. 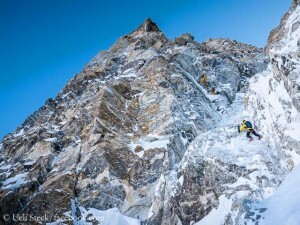 In contrast to the legendary British climbers, the two Slovaks planned to climb the route in the wall if possible in Alpine style: without Sherpa support, fixed ropes, high camps and also without bottled oxygen. Now they have run into difficulties in the wall. The good weather window on Mount Everest has not yet opened. “Heavy snow in Everest Base Camp at the moment,” American Dan Mazur, expedition leader of the operator Summit Climb, today wrote on Twitter from the Nepalese south side of the mountain. 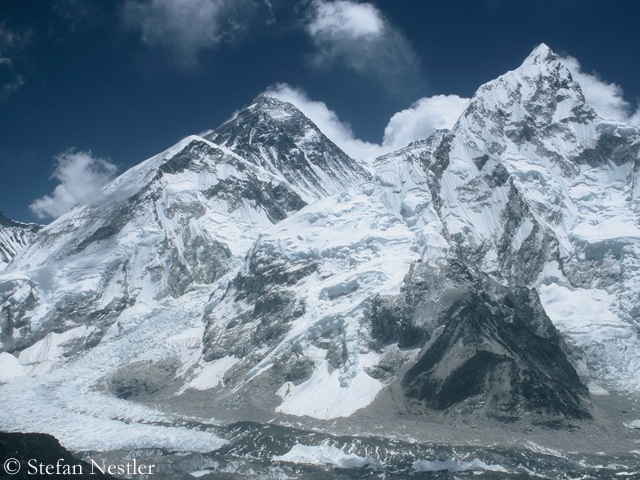 “Our Sherpas are working high up on the mountain, carrying oxygen, ropes, tents, food.” On the north side of Everest, the Americans Adrian Ballinger and Cory Richards climbed today to an altitude of about 7,600 meters. “For just today, I’m pretty sure Cory and I were the highest people on the planet”, Adrian wrote on Instagram. “Does it matter? Of course not. 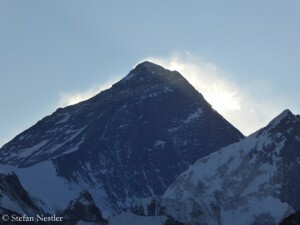 But it felt special.” The two climbers, who want to scale Everest without bottled oxygen, returned to the North Col, “as afternoon clouds try to cross the border from Nepal into Tibet”. The weathermen expect for the next few days more snowfall on Everest. Maybe one or the other climbers in the base camps on the north and south side will use the time to read again Jon Krakauer’s book “Into Thin Air”. 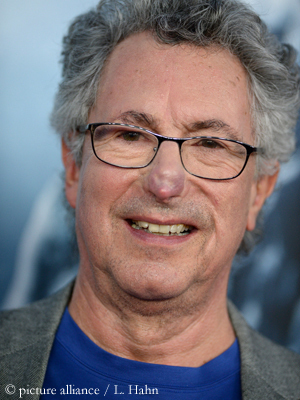 It describes the disaster on Everest in spring 1996. The 20th anniversary will be next Tuesday . 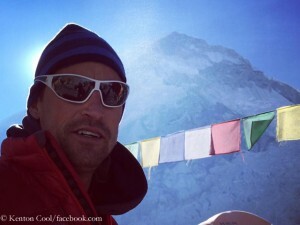 I have talked to Ralf Dujmovits about Mount Everest then and now. 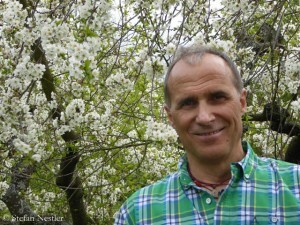 The 54-year-old is the first and so far only German who stood on the summits of all 14 eight-thousanders. Ralf, you have taken an Everest sabbatical this year. 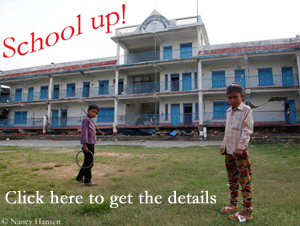 Did you – like many others – want to see how the whole situation on Everest is developing?